Regenerative medicine is revolutionizing the field of non-operative orthopedics and sports medicine. It involves using your own body’s stem cells and platelets to help heal injury and disease. Performance Injury Care & Sports Medicine in Helena, Montana is a leading provider of stem cell and PRP therapy in the Northwest. With years of experience and expertise in this field, our providers successfully treat numerous bone, muscle, joint, and soft tissue injuries with regenerative procedures. The many benefits of regenerative medicine procedures such as platelet-rich plasma (PRP) therapy and stem cell therapy include accelerated healing, decreased pain, improved function, quicker recovery, and faster return to sport or daily activities. Learn more about stem cell therapy and PRP therapy below. To find out if you might be a candidate for one of these regenerative procedures, call PICSM at (406) 422-5817 or request an appointment online. As we age, we are in a continuous battle between activity-induced stress on our musculoskeletal system and our ability to recover. During this cycle of tissue breakdown and repair, our body responds to repetitive stress (injury) by using specialized cells called mesenchymal stem cells (MSC) to make new tissue to help in the recovery process. During our lifetime we use up millions of these cells that are held in reserve throughout our body. Although we have an abundant supply of these special stem cells, the aging process seems to reduce their ability to “turn on” and repair damaged tissue. With continued stress we develop chronic pain and loss of function. Stem cell therapy is the process of injecting high concentrations of these special cells into tendons, ligaments, joints, nerves, and muscles to help your body repair itself. What are the potential benefits of stem cell therapy using MSC? Mesenchymal stem cells (MSC) can help repair and regenerate injured or damaged tissue such as cartilage, ligaments, and tendons. They also help treat degenerative diseases like osteoarthritis, delaying or avoiding the need for joint replacement surgery. Stem cell therapy decreases pain and improves function. The procedure is done in our office under local anesthesia, eliminating the risks associated with surgery or general anesthesia. We can obtain stem cells from one of two areas of your body: fat (adipose tissue) or bone marrow. Adipose-derived stem cells (ADSC) are collected from fat via a lipo-aspiration technique (NOT liposuction) while bone marrow aspirated cells (BMAC) are collected from your hip crest bone. ADSCs have more regenerative properties to form new ligaments, cartilage, and bone. This technique is best utilized to help fill tissue that has larger defects and/or torn tissue. BMACs have a superior ability to help those patients that need enhanced oxygen and nutrient delivery to damaged tissues. Your doctor will determine which method is appropriate for your particular diagnosis. If we use BMAC, we will spin down the sample in a centrifuge to concentrate the cells. Then, using ultrasound guidance, we inject the concentrated cells directly into the area that needs healing. If we use ADSC, we do not manipulate the sample. We simply inject the cells into the targeted area using ultrasound guidance. What are the risks and side effects of stem cell therapy? These procedures are considered very safe. You may experience mild pain and soreness during and after the procedure. Because your own blood and bone marrow or fat is used, there is no chance of rejection by your body. This procedure is done under sterile conditions and the risk of infection is low. While the treatment is typically mildly painful we use oral medications and local anesthetics to help reduce your pain during the procedure. You may notice some pain and discomfort after the procedure. This is more frequent after bone marrow aspiration. Most patients find over-the-counter medications, ice, and rest sufficient to help with the pain. No, because adult stem cells are from YOU. They reside in your bone marrow and fat and they exist in large quantities. We use your own stem cells and do NOT store or alter them in any way. What is PRP therapy and why is it used with stem cell therapy? Platelet-rich plasma (PRP) therapy is a type of regenerative medicine used to speed tissue recovery. 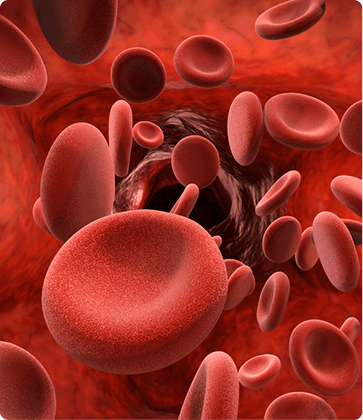 Platelet-rich plasma (PRP) is found in your own blood. Platelets carry several important growth factors and other proteins that are activated and released when they form a clot. These growth factors recruit mesenchymal stem cells (MSC) to the area to initiate the healing cascade. MSCs are pleuripotent, meaning that they can change into whatever cell type is needed to repair the injury. These cells can help regenerate tendons, muscle, cartilage, bone, and nerve cells. Injecting PRP releases a powerful dose of growth factors to accelerate and enhance tissue repair and healing properties of the stem cells. By using PRP with stem cell therapy, we increase the wound healing and reparative potential to your damaged tissue. PRP is obtained with a simple and safe blood draw. We collect a sample of your blood, about 30 to 50cc, or roughly 2-3 tablespoons, and spin it down in a centrifuge to separate the plasma, which contains a high concentration of platelets. The PRP is then ready to be injected or mixed with bone marrow or fat stem cells for treatment to relieve your pain and heal arthritis and injuries. We use ultrasound guidance to precisely place the concentrated platelets or PRP-stem cell mixture into the injured tissue to enhance the healing process at the site. Newer areas of treatment include cartilage conditions such as osteochondral defects within the knee, meniscus (knee cartilage) tears, and shoulder labral tears. With these injuries, bone marrow can also be used to help augment PRP’s regenerative capabilities. What are the advantages of regenerative therapy? Safety:Numerous studies have shown that PRP and stem cell therapy are safe alternatives to surgery, with no long-term complications. Autologous:The biologics come from you and are injected back into you. There is no chance of a reaction to your own blood. The procedure is done all in one visit. Regeneration:New tissue is formed without the risk of scarring from surgery. Faster Recovery:Compared to surgery, PRP and stem cell therapy involve less pain, early return to motion, and less muscle atrophy. Less Expensive:No anesthesia, no operating room expense, no facility fee. The procedures are done here in our office and take about 30 minutes to an hour to perform. The only downside is that many insurance companies deny coverage of these procedures, as they are considered to be experimental. Some Montana workers’ compensation do pay for it along with some other commercial carriers. If you have a large deductible or health savings account, the expense is considerably less than surgery. No preclusion of surgery:If the procedure failed to work, you can still consider surgical options. Studies have indicated that regenerative therapy reduces the need for surgery about 70-80% of the time. Effective:Numerous laboratory and animal studies have shown biologics work! Human trials are ongoing. Ask around…we have already helped many people get back to sport, work, or play. How long has PICSM been doing these types of procedures? At Performance Injury Care & Sports Medicine (PICSM) we are a leader in using regenerative therapy. We have years of experience using ultrasound-guided injections to help repair chronic and acute injuries. Dr. Steele has been using platelet-rich plasma (PRP) therapy since 2008 and we are continually updating our techniques to better help you get back on track with a healthy lifestyle. What sets PICSM apart from other stem cell clinics? Many stem cell clinics are popping up all over the US and are advertising here in Montana. Many of them are using marketing and very little science or expertise in using stem cell therapy. Here at PICSM, we evaluate you to determine why you have pain. We utilize X-ray, MRI, and diagnostic ultrasound to determine what led to the tissue breakdown in the first place. We do all of our injections with ultrasound guidance to ensure proper needle placement inside your body. We pride ourselves in the advanced imaging that we offer here in Helena. We will not just inject your injured area and wave goodbye with a sheet of instructions. We typically see you back for 4 follow-up visits to discuss range of motion, strengthening, and other exercises, along with checking your progress. During your follow-up visits we may use low light laser therapy over the treatment site to enhance your recovery. We believe that the newly formed tissue is very fragile and needs to be protected with bracing and/or crutches to allow for complete regeneration and healing. By coordinating your care with an accurate diagnosis, ultrasound guidance for correct placement of the stem cells, protection of the newly formed tissue with proper bracing, and follow-up visits to help with strengthening and motion of the tissue, we have superior outcomes. If you do not try and restore normal movement, function, and balance to the injured area, your pain will return. How do I know if I’m a candidate for PRP or stem cell therapy? Consult with Dr. Steele to see if you have any type of joint or tendon pain that hasn’t resolved with conservative therapy. After a complete medical evaluation, Dr. Steele will determine which one of the biological regenerative procedures will best help you recover. Stem cell therapy works best for moderate arthritis, joint pain, or degenerative tendon or ligament disease. Stem cell therapy helps YOU fix you. How do I know if PRP and stem cells are injected into the correct place? At our clinic we know that the success of any treatment relies on having the correct diagnosis and an accurate delivery system to the diseased tissue. By using ultrasound imaging, we can see exactly where the needle is being placed. By visualizing the correct site of injury, we can provide an accurate and effective treatment that helps you to get back to work, sport, or play. All of our regenerative procedures are done with advanced musculoskeletal ultrasound imaging. We not only utilize the best ultrasound imaging equipment in Montana, we are also the most highly trained diagnostic musculoskeletal clinic in Montana. Dr. Phillip M. Steele and Abbey M. Barnhart, PA-C are both Registered in Musculoskeletal® (RMSK®) Ultrasound certified by the Alliance for Physician Certification & Advancement. Dr. Steele is recognized regionally as well as nationally through his many lectures and faculty positions in advanced ultrasound courses. He works as an advisor to RMSK helping to write the training exam and works with other leaders in the field of diagnostic ultrasound imaging to promote the diagnosis and treatment of nerve entrapment injuries. What do I need to do to prepare for my stem cell or PRP treatment? We recommend that you discontinue nonsteroidal anti-inflammatory medications such as ibuprofen for 2-3 weeks before the procedure and 4-6 weeks afterwards. You should stop using all tobacco products for 2 weeks before the treatment date and for 6 weeks after. When we are treating a joint for osteoarthritis we may ask you to come to the clinic about one week before the procedure to receive a joint injection with 5% dextrose. This “primes the pump” before your procedure, acting to rev up your immune system’s response to the stem cell procedure. In some cases we will fit you with a brace and/or crutches before your procedure date. It is important to not damage newly formed tissue so we typically fit you for these items prior to your procedure. Will I need to take time off from work? When can I go back to my regular activities? The procedure is performed in our office and only takes 30 minutes to an hour to complete. Patients are usually sore during the first couple days after the injection. Depending on the work you do, you may be able to return to work the next day, but we recommend taking at least one day from work to allow you to take it easy. Depending upon your lifestyle and the type of procedure you have, you may return to work with some bracing to prevent re-injury. Stem cell treatments stimulate the growth and repair of connective tissues but require time to complete the healing process. Typically, patients notice improvement after 2 weeks and continue to notice improvement for months after the procedure. One study on ankles showed continued improvement up to 22 months. I hate needles and am nervous about having any procedures. We can prescribe an oral anti-anxiety medicine and pain medicines that you take prior to the procedure. During the procedure, we use a local anesthetic. Most of our patients feel minimal discomfort. Feel free to bring your favorite music device and ear buds! Does insurance cover PRP and stem cell therapy? PRP and stem cell treatments are considered an experimental procedure by most commercial insurance plans. While workers’ compensation may authorize these procedures in Montana, most insurance companies will not pay for PRP or stem cell treatments. You may use your health savings account for payment. * NO tobacco products of any kind for 2 weeks before the procedure and 6 weeks after. * NO Ibuprofen or Naproxen. All NSAIDs are to be avoided for 1 week before the procedure and 6 weeks afterwards. * The day before the procedure, pick up any medications/prescriptions (antibiotic, pain, nausea) and Hibiclens Soap. Make sure you already have your brace and/or crutches fitted. * The morning of your procedure you should wash your whole body using the packet of Hibiclens Soap. * The morning of the procedure take prescribed antibiotic (Keflex). * Drink enough water to avoid dehydration, eat your normal breakfast and have someone drive you to the clinic. * One hour before procedure you can take your prescribed pain medication. * Bring your brace, boot or sling to the procedure. If you are going to be using crutches, bring them as well. * Someone should drive you home. * Make sure you leave the clinic with your post procedure supplies which include: extra bandages, Tegaderm, and 2x2 pads. * Make sure you do hourly range of motion to help with pain control and stiffness. Remember Motion is Lotion. * Check the procedure site for bleeding every 2-3 hours, and if you need to change the bandaging more than every 1-2 hours, apply pressure for one hour. If you are still soaking the bandage, contact the clinic. The after-hours number - (406) 422-5817 - has three options. The third option should contact a physician. * You should be able to remove the fat graft site bandaging after 24 hours and switch to a bandaid. * NO hot tub or swimming pool exposure to the fat graft site for one week. * Your first Follow-up visit is one week after your procedure, but please contact the clinic at any time for concerns. If the procedure site is hot to the touch, increasing pain or red in color, please contact us immediately. You have been scheduled for a biologic procedure to enhance your body's natural ability to heal itself from a prolonged injury. Before the procedure you should not take NSAID medications like Ibuprofen (Motrin) or Naproxen (Aleve) for at least 1 week. If you are not sure whether your medication is an NSAID, please ask. Use of NSAIDs should be avoided after the procedure for at least 4-6 weeks. We also recommend that you pick up a pain medication prescription before the procedure so you do not save to stop at the pharmacy after the procedure. Typically, we prescribe Norco as a pain medication, which has hydrocodone and acetaminophen as a combination. If you smoke or chew tobacco, you need to discontinue tobacco products at least 2 weeks before and 8 weeks after the procedure. Tobacco will negatively influence your body's natural healing potential. You should try and eat a well-balanced diet and consider eliminating refined sugar from your diet as it is a cause of inflammatory pain. The day of the procedure you should have someone drive you home and we recommend taking the rest of the day away from work. We prefer that you go home and keep the procedural area elevated and ice for about 20-30 minutes over a light cloth or ace wrap. You will have had an anesthetic to help with pain control during the injection, but this will typically wear off in 2-3 hours. * Stay hydrated to make it easier for us to draw your blood for the procedure. * If you are instructed to wear a sling, brace, fracture cast boot or use crutches, you need to bring them to the appointment. * Pick up your pain medication at the pharmacy before the procedure. Call and speak to our staff the day before the procedure if this detail was somehow overlooked. * Plan on taking it easy for a few days after the procedure. Although most return to their normal activities the day after the procedure, it's easier to plan on a few low key days. As with any injection, infection, bleeding and allergic reaction are the most common side effects. Your risk for infection is extremely low as concentrated platelets act as an antimicrobial (prevents infection) agent. Some estimates of infection rates after PROP injections are around 1:40,000. But if you have swelling, redness and warmth at the injection site you should give us a call. If you develop fever or chills and it is the weekend you should go to one of the urgent care clinics or emergency rooms for an evaluation. During the week, you should just give us a call or come in to our walk-in clinic so we can take a look. Over the weekend or after hours, call (406) 422-5817 and select the third option to leave a call-back number. The site we collected your blood from might experience some bruising, but persistent oozing should prompt a phone call to us. The site of the procedure could be sore for the first several days after the procedure. Treat pain and swelling with ice, elevation, compression with an ace wrap, and, if needed, the pain medications we provided. Passive range of motion (helping it move) hourly is helpful to decrease pain and stiffness. Protected motion should help as well - so if we fitted you for a brace or gave you crutches, use them! Remember, no Ibuprofen or Naproxen (NSAIDs) for 4-6 weeks after your procedure. You may use Tylenol (acetaminophen) for pain control alone. However, many combination pain relievers such as Norco, Lortab and Percocet have Tylenol in them as well. If you look on your pain prescription bottle, you will usually see (hydroco/ASAP), which signifies that hydrocodone and acetaminophen are included in your perscription. You will typically see 5/325 or 5/500, but dose and the ratio may change depending on which medication was prescribed. The first number relates to the hydrocodone portion of your prescription and the ASAP is the acetaminophem. Your total dose of acetaminophen should not exceed 2,000-3,000 mg per day, so keep track of how acetaminophen you take per 24-hour period. You were most likely given an anesthetic agent during the procedure, which should provide you with good pain control for 2-4 hours. After the anesthetic wears off you may experience worsening pain, so you should take an oral pain reliever about 30-60 minutes after the procedure. You should stretch the affected area every 1-2 hours with gentle range of motion and eccentric stretching (lengthening the muscle/tendon/joint?. If you leave it immobile over a prolonged period (days), you may experience worsening pain. Remember ... "motion is lotion!" What things should I look out for? As with any procedure, the major risk is infection and bleeding, If you notice redness and warmth to the inject site after the procedure, please contact us. Typically, this occurs by the second or third day. Bleeding is the other major risk. Although some bruising is typical, if you notice an abnormal amount of swelling and/or bruising, you should contact us. Allergic reaction? During the procedure, we used an anesthetic agent and if you notice a small rash, hives or itching near the injection site, you might be having an allergic reaction to the anesthetic. If you are having symptoms at other locations, you might be having a reaction to your pain medications. You can consider taking some Benadryl (diphenhydramine) but you should contact us if the symptoms progress. Stop your pain medications and contact us. If you have tightness in your chest or difficulty with breathing or swallowing , call 911 or get to the emergency room ASAP. If in doubt, call for help, as things could get worse quickly. Most dangerous allergic reactions happen quickly within minutes to a few hours of the injection. Severe allergic reactions are rare with steroids, as we typically give you steroids to help in the treatment of an allergic reaction. How are things different the following weeks? Remember, the procedure actually weakens the tendon or target tissue for the first two weeks. By week two, the tissue has been restored to its pre-procedure strength. By week four, it's stronger than before and can be used with light-duty activities. Some activity is good as it encourages the regenerating tissue to lay down cross-linking, which strengthens the tissue. When will the healing process be completed? Healing is an individual event. Some people just seem to heal faster than others, so be patient. After 6-8 weeks, those under 50 years of age will have significant pain reduction and be pain-free for some activities but still complain of muscle fatigue. This is normal. Remember, you have to retrain these muscles to work. With an injury you will have deconditioning of the tendon/muscle. For those over 50 years of age, the process can take longer. Your pre-injury health, nutrition and medications can influence how long it takes to recover.